Tulsi(sacred Basil) is considered as sacred plants in Hinduisium and made offering to Lord Vishnu. Tulasi is believed as earthly manifestation of Goddess Lakshmi. Tulasi Vrindhanam had a place in the centre courtyard of earlier homes. Now Tulasi Vrindhavan got displaced to the front or near to the entrance of homes. 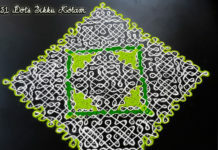 A kolam with four Tulasi Vrindhavans.The base of the Tulasi Vrindavan gets extended beyond the dots which isn’t calculated while placing the dots. 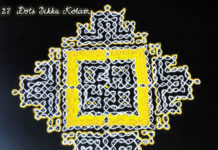 This kolam is drawn with 8×8 matrix. 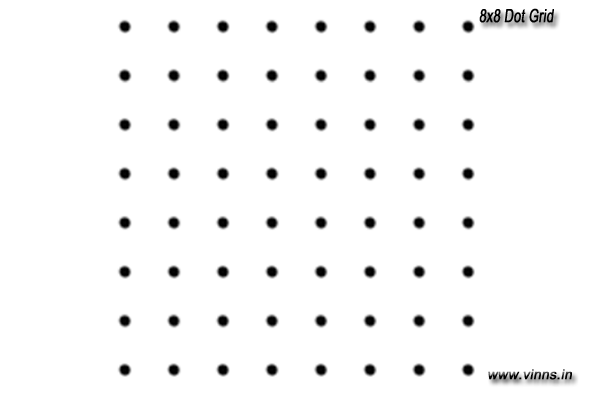 The dot pattern is given below.  You may download and print for practicing. 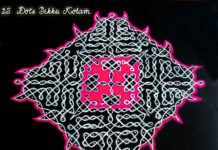 Start the kolam from the corner dots. First draw squares at the corners. Now with the four squares, draw two lines. One just below to the square touching its corner and another a offset of the first line. 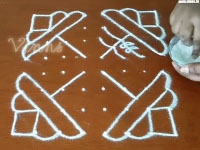 Now draw the same on other corners. Step 2 Now join the lines with curves giving a smooth finish to the elements. Now this is the top portion of the Tulsi Brindhavan or Vrindhavan. 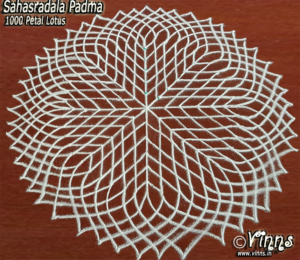 Step 3 Now draw a line from centre of the upper base which extends upto the centre dots of the kolam. 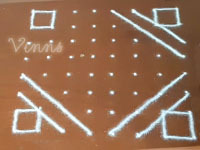 Add the twigs of the plant by joining the dots on the centre line to the adjacent dots. 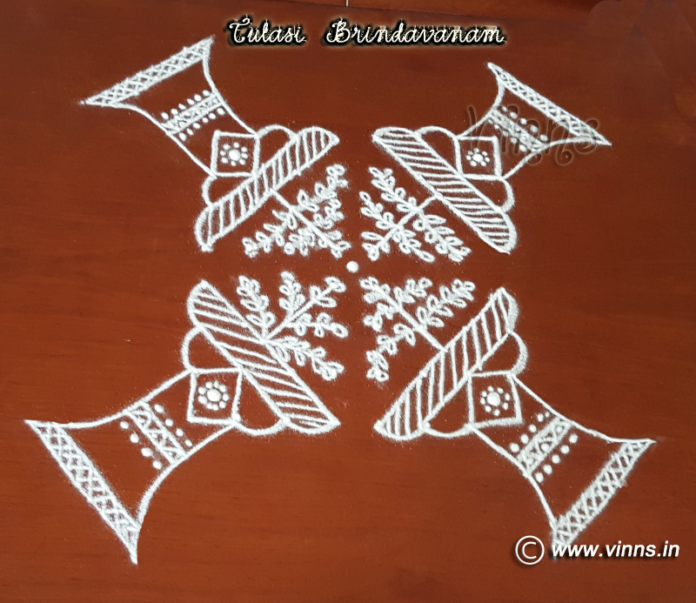 Step 4 Draw the base of the Vrindhavan by extending lines downwards. 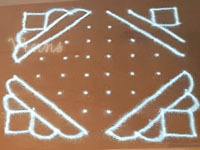 This extension is freehand and if you want you may place dots for marking. 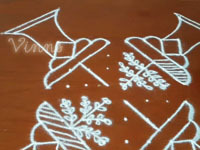 Add some detailing work on the pillar and finish the kolam.